Education projects are one of DORS’ earliest. At the time they mainly consisted of supporting school fees. 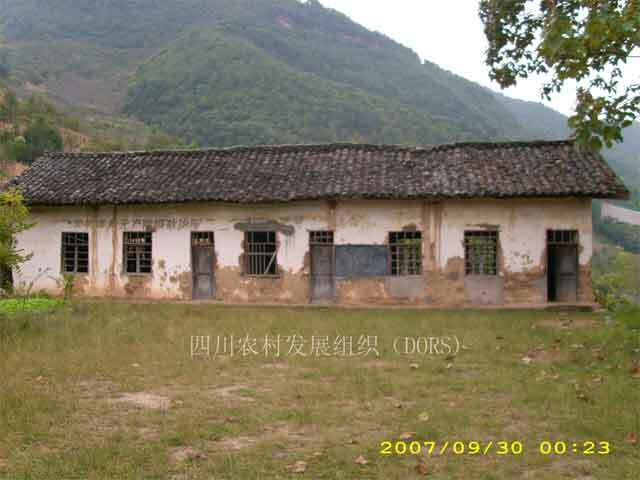 In the space of 12 years from March 1996 to March 2007, DORS supported 24 villages’ students one after the other, as well as school repair and construction, libraries, dormitories for teachers and school toilets, etc. according to local educational needs. Altogether 702,862 yuan was spent, and accompanying government funds of 218,035 yuan received for the projects. 6166 person-times of children benefited from this project. This project received the support of four foundations (Shanghai Expatriate Professional Women’s Society, the British Embassy Small Grants Scheme, Hong Kong’s Kadoorie Foundation, and Misereor Social Development Foundation), along with the support of some other caring individuals. Hanyuan County is an officially designated Poor County, and of this county DORS chooses the especially poor villages in which to work. 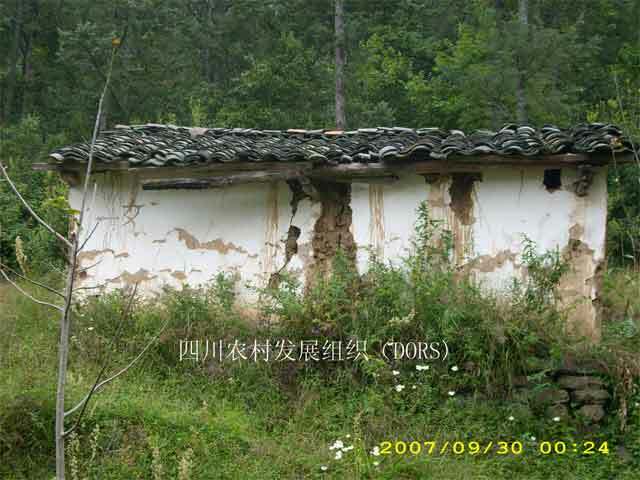 Villagers’ living conditions are not desirable, at the time the average income was 800 yuan per person per year in 1996. The financial pressure on families and their lack of emphasis on girl children’s education combined to produce the result that many children didn’t go to school but rather helped out around the house with farm work. 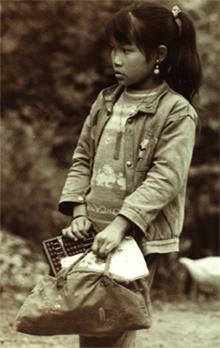 This was especially true of girls and Yi minority households’ children. 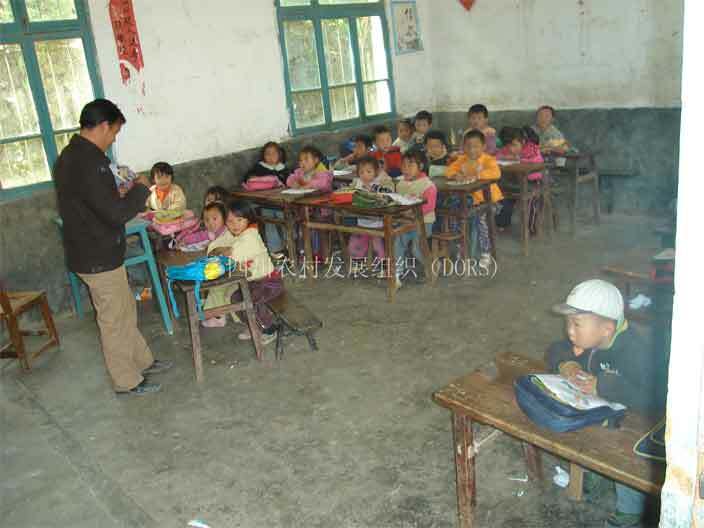 In China, the poorest areas are those which most need education but which most lack the funds to pay school fees. Families can’t afford to pay for their children to complete primary school, or, once they graduate from primary school, can’t afford to pay for the tuition, board and living expenses of their children at the next level of school. Therefore, in order to lighten the villagers’ burden, DORS paid for or supported part of these especially poor families’ children’s school fees, supporting 3525 instances of giving children the opportunity to continue attending school. Education projects are expensive—besides paying school fees, we also pay for school buildings in bad disrepair to be rebuilt or repaired. Altogether we have rebuilt 8 schools and repaired three, and built or supplied accompanying facilities such as playgrounds, toilets, protective walls, kitchens for boarding students and teachers’ dormitories, etc. Education is a long-term investment, therefore, in certain villages DORS has supported the same students for several years. 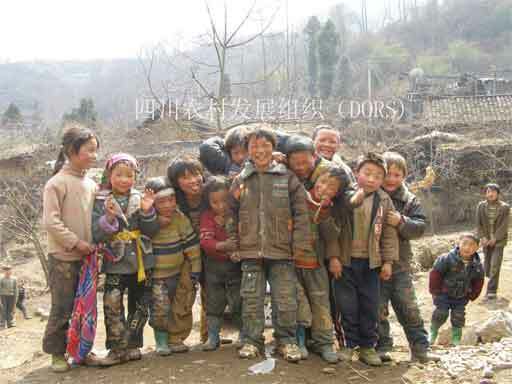 For example, in one of our earliest project villages, Banyang Village, DORS supported children for 18 successive semesters. Afterwards the government planned to move Banyang villagers to other areas, and as well, the 9-year compulsory education policy (meaning the government would pay children’s fees for them) went into full effect. So DORS stopped supporting primary school students. DORS also implements other projects, for example, microloans to women, forestry projects that produce fruit for market, etc. (for details see the introduction to our projects on the first page of the Projects section). Through these other projects we hope to develop villagers’ economic ability to send their children to school independently in the future, while temporarily assisting them with the fees now. (DORS currently assists some post-primary students from our project villages with their tuition and/or boarding fees). We especially attend to those less noticed or cared for in the villages, such as the poorest households’ children who have dropped out or have to stop and start, and of these children, pay extra attention to girls and Yi minority children. According to the namelist chosen by the hamlet members, out of all the families, as most in need, we go from house to house surveying. The final namelist is what everyone has agreed upon. It is important to completely get to know the relevant information and repeatedly discuss with the villagers in order to get an accurate namelist with what are truly the poorest students. It’s also important to avoid creating disagreements in the village through distribution of education funds. Therefore, the project has received the strong support of villagers, which helps ensure the project is implemented smoothly. Due to the national government’s good education policies, starting in 2007 we have been able to turn our eyes toward things such as supporting high school and college students’ fees and establishing school libraries. In January 2008 DORS received Ms. Xu Juan’s and Beiijing Fendou Primary School’s fourth-grade classes’ donation of books which have established 4 school libraries. In the beginning, solving a part of children’s dropping out or stopping and starting school, especially girl children, gave these children the opportunity to attend school. Now, by providing a good studying environment through improving school facilities, establishing libraries, etc. methods, children’s interest in studying is improved, giving children an opportunity to increase their knowledge of the outside world.